In mid-February I received an email from a friend who was responding to a question from Alan Mende. Alan needed decal help to finish a box car project and I was added to the email response as a possible resource. Alan was lucky as I had a decal set on hand to send to him. Here’s Alan with more details. I had scratchbuilt a Central Railroad of New Jersey box car from a plan published in the January 1972 issue of Model Railroader. The model reflects the pre-Safety Appliances appearance, which is why there is only one grab iron on the car side. I was planning to use a Clover House dry transfer set, but the HO versions were out of stock. What to do? I recently received photos and descriptions of the latest models Jim in West Virginia. I realized he had sent several other photos over the last year. It’s been a little while since we had a virtual RPM post, so let’s catch up with Jim’s work! A list of upcoming RPM events is reviewed at the end of this post. As with most images on the blog, click on any to review a larger size. 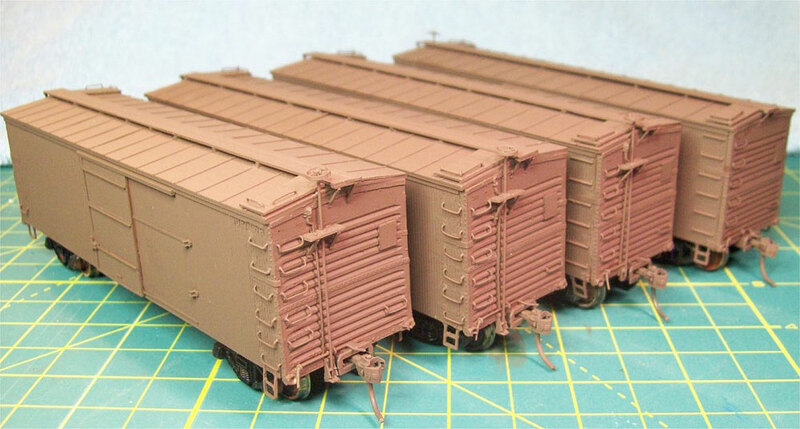 New box cars on Harold’s layout. It’s time to share the work of another pre-Depression era railroad modeler. 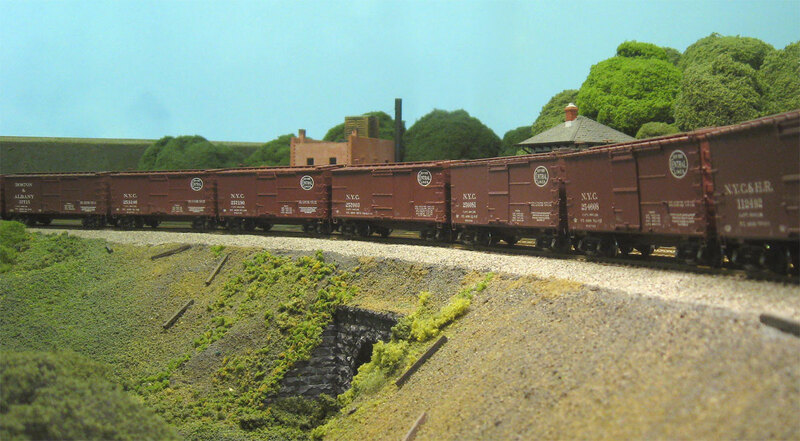 Harold Oakhill has been here before with some wonderful Pennsylvania Railroad XL class box cars. He just wrapped up building several New York Central box cars. Harold takes over the blog to discuss his latest works. Click on any image here to review a larger version. My friend Dave is modeling a portion of the Toledo & Ohio Central railroad through western Ohio. He has twisted history a bit and is modeling this railroad as a Nickel Plate Road (NKP) division, rather than the New York Central (NYC) division that it was. Dave just likes the Nickel Plate more than the NYC. Additionally, he has focused his modeling on 1928. 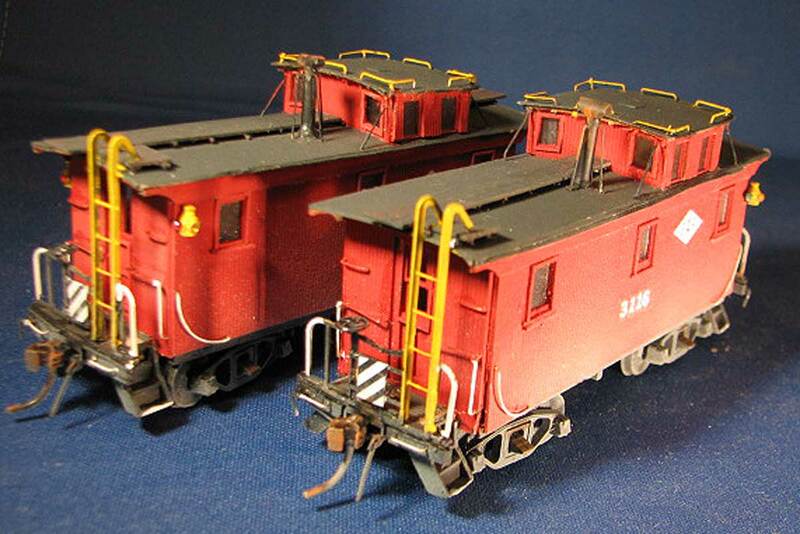 Recently, Dave has been wrapping up details on several interesting NKP box cars that were pretty common for his era. The cars pictured above are 36-foot, double-sheathed cars with upgraded components. Let’s follow along with prototype details and Dave’s descriptions of the modeling. Most of the images on this post can be reviewed in a larger size by clicking on the image.